The AIR CC non-contact capacitive profile sensor has been on the market for nearly 4 years but until recently it has never been tried on a blown film stretch film line. Due to the film being tacky on the surface traditional contact sensors will not work with the film. 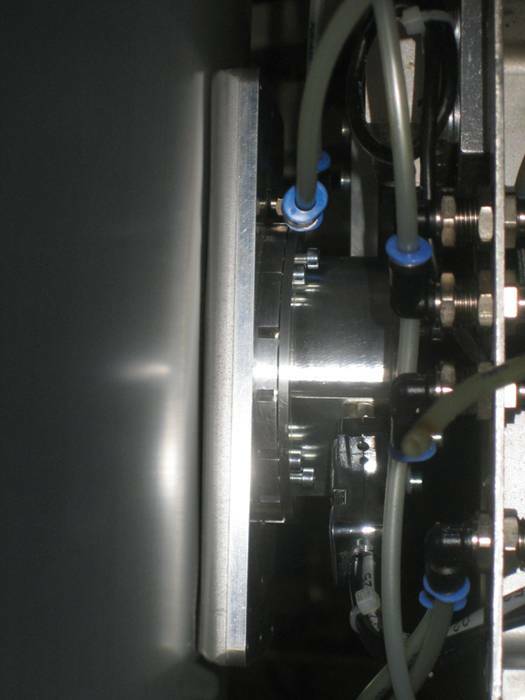 In the past PLAST-CONTROL used the standard Rolling C-Wheel capacitive sensor mounted in the collapsing frame of the blown film line. The reason it was mounted in the collapsing frame is due to the high amount of fast film flutter on the bubble. The down side to this approach is the profile measurement update is tied to the rotation time of the oscillating haul-off which is in the range of 10 minutes. When performing automatic gauge control a 10 minute update cycle for the profile is a long time which can produce a lot of scrap waiting for the updates. A customer has installed the AIR-CC mounted on a PLAST-CONTROL DK3200 profile scanner and from the first measurement has been able to now get profile scans in 2 1/2 minutes and the non-contact capacitive will never touch the film. The surface of the sensor has an air supply which will maintain an air gap between the film and the sensor no matter how quick the film moves to the sensor. Being mounted on the PLAST-CONTROL radial adjustment unit the head will move along with the movement of the film to maintain a distance to the film. Typical capacitive sensors would need to have a constant air gap distance to the film to work properly but the AIR-CC has been designed with a patented approach so that if the gap should vary the proper film measurement will be available. 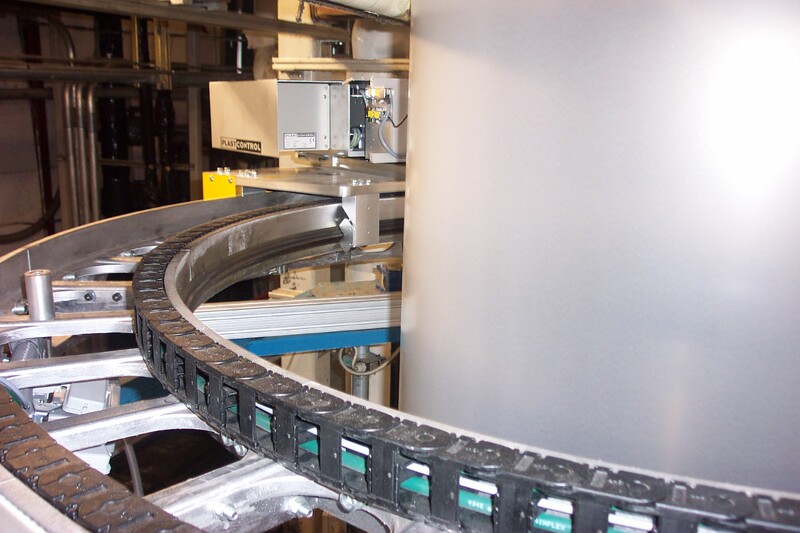 From here on any stretch film lines using PLAST-CONTROL profile measurement sensors will be supplied with the AIR-CC.